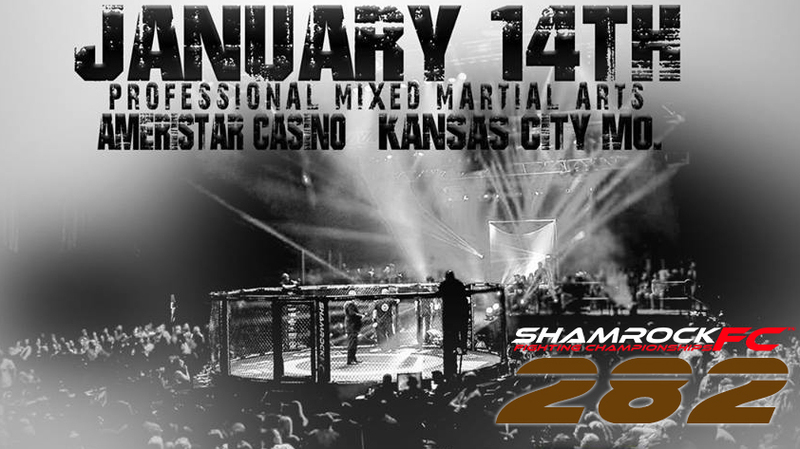 After closing out its 2016 in Kansas City, Shamrock FC returns to the Ameristar Casino in KC with the return of the "Mama's Boy" Kelvin Tiller as the headliner. Tiller hasn't seen action since March 2015 when he choked out Marcus Sursa at SFC: Heavy Artillery. 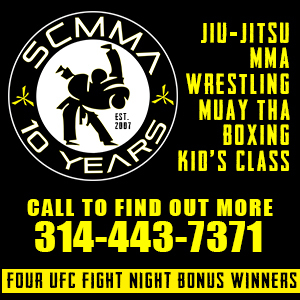 Since then, he's has had three bouts canceled, two with World Series of Fighting and a third with Victory FC last May due to various injuries to him and his opponents. Tiller (7-1), fighting out of Topeka, KS will take on Colorado's Kevin Sears in a heavyweight bout. Staying busy in 2016, Sears won four out of his five bouts in the calendar year, three of which were by way of TKO. He's big and he likes to throw, which will be a nice contrast for Tiller who wins most of his bouts by way of submission. Tiller owns a tap out over current UFC middleweight Jake Collier, as well as former Ultimate Fighter contestant Jeremiah Riggs. Slotted into the co-main event slot is American Top Team's Garrett Gross, Gross will face Deron Carlis. An Illinois native, Gross is an exciting and tenacious fighter who seems to get more ferocious the longer the fight lasts. After winning his first four fights, Carlis has lost two in a row and will need to put Gross away early. The "Pharaoh" Carlis has three first-or-second round submissions to his credit and has only gone to decision once in his pro career. This should be a fun fight to watch. The well-traveled and always hungry Johnnie Roades is back in the Shamrock cage, this time facing Oscar Valdez. The last time Roades fought for Shamrock FC, it was against Sharky Styler in March what many felt was a bit of an upset. Roades outlasted Styler's pressure and tenacious ground game and came on top for the victory for a decision. Standing across from Roades at SFC: 282 is Oscar Valdez fighting out of Batesville, Arkansas. Valdez is coming off a third-round triangle choke of Paul Smith in June. Valdez has a tricky submission game and has won the majority of his fights by way of tap out. Rounding out the pro main card is a welterweight clash between the undefeated Chance Thackston and Jason Powell. Sitting a top of the amateur portion of the card is a match-up between Drew Elrod and Anthony Goldfield. Goldfield is fresh off a stunning first round KO of Frank Minion in October, his second one-minute finish this year. Elrod will want to go to the ground quickly as Goldfield has been submitted in each of his losses and isn't someone to try and trade with.